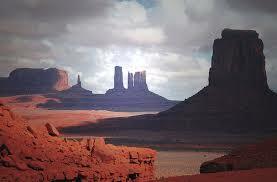 Must See Arizona Tourist Attractions! Let’s explore some Arizona tourist attractions that are very popular for both visitors and Arizonans alike! 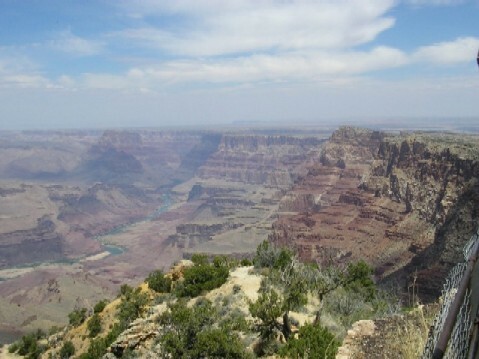 Grand Canyon: The Grand Canyon takes honors of the number one visited attraction in the United States. Located in northern Arizona, this beauty is one of our Arizona tourist attractions that has no trouble attracting about five million visitors each and every year. Explore the Canyon along with the Colorado River that make this combination the perfect fit for those who choose to stay high above it or travel down into it. Options are plentiful and include such excursions as an airplane tour, helicopter tour, rafting, hiking, or by burro. Whatever your choice, the views will undoubtedly still be quite spectacular and memorable with the colorful rock landscaping. If you do not go down into the Canyon, at least consider going for a walk on the Skywalk, a horseshoe-shaped bridge located in the Grand Canyon West area. Havasupai Indian Reservation: This reservation is located inside the Grand Canyon and attracts many people from around the globe each and every year and it’s no wonder why. 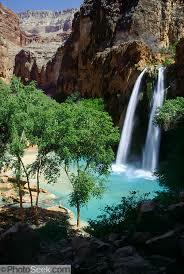 The pristine blue waterfalls along with a trip back in time where the Havasupai Tribe share their beautiful tribal land is definitely one of the Arizona tourist attractions not known to many perhaps because of the remote location, but it is certainly well worth the trek. You can get there by hiking the last eight miles where these Indians live. You can also take a helicopter or ride a horse into the area. Once there, enjoy outdoor activities such as swimming in the creeks and waterfalls, camping or just taking in the tranquility of the remoteness that the area offers. The locals appreciate the tourism and take great pride in the arts and crafts that are made available to the visitors. Monument Valley: Situated between Arizona and Utah, Monument Valley is an area that you can drive to and just gaze at these phenomenal views of the jagged rock formations, spectacular buttes, and the sand dunes. You can also hire a tour guide for that extra special experience that will surely give you the opportunity to take some very impressive pictures back home with you. This attraction is home to several national parks and monuments near this area including Four Corners, Canyonlands National Park, Navajo National Monument and Hovenweep National Monument. 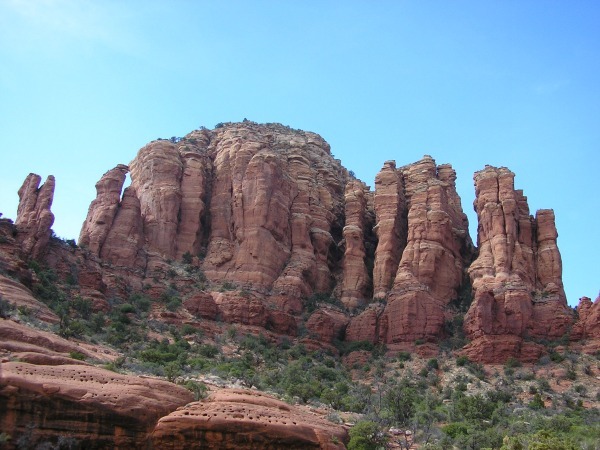 Sedona: This is another one of the unforgettable Arizona tourist attractions that many, many people from around the world make a trip to see. Known for vortexes, you will find spiritual retreats that will help soothe your soul and reconnect it with the many benefits of nature that surround you once there. Known for the red-rock formations that surround the entire area as well as many miles before you even get there, this is a favorite of many, including mine! Parks, museums, Native American Indian culture, fishing, hiking, biking, horseback riding, wineries, tennis, golf and quite possibly the most scenic relaxing and spiritual rejuvenation excursion you will find anywhere! 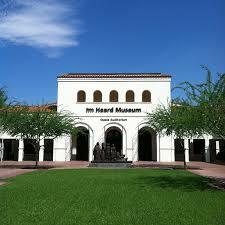 Heard Museum: This Arizona tourist attraction is located in Phoenix offers history, art, and Native American culture enthusiasts a massive as well as an impressive collection of some of the oldest Native American art, history and artifacts. Visit the Heard Museum and view more than 400 items that include textiles, paintings, pottery, learning activities, weaving, sculptures, jewelry, photos and so much more. When I first moved to Arizona many years ago, the museum is an attraction I visited and I am glad I did. I learned so much from the many exhibits and detailed information provided within. Even the kids will love it! It is very interactive and they have some fun activities just for the little ones. Saguaro National Park: Located in Tucson, Saguaro National Park is proud to be the home for some of the nation's largest cacti! This is an attraction that’s perfect for nature enthusiasts who truly appreciate the southwestern desert. In the spring is when you will be able to see their beautiful blooming flowers and succulent fruit. 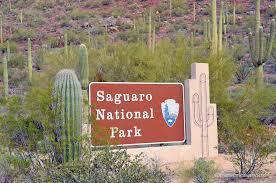 This area is home to more than 91,000 acres of our Sonoran desert. There are areas where you can explore the prehistoric petroglyphs as well as plenty of areas for hiking , biking and boating… in addition to the scenic drives and a picnic if you choose during your travels. Hoover Dam: This is a very popular tourist attraction in Arizona that was man made in the Great Depression thanks in part to President Hoover. 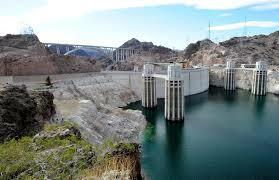 It was because of the dam that Arizona is what it is today. It helped produce the needed electricity, helped provide the much needed irrigated water for farmers and also helped control flooding. This attraction offers its visitors the opportunity to take a tour down into the canyon wall to get an inside look at just how this massive power plant operates. Beautiful views! Superstition Mountains: This mountain range is a favorite of so many people and for good reason. They are just gorgeous and magnificent to look at! The Superstition Mountains are located about 35 minutes east of the Phoenix metropolitan area in the Apache Junction Gold Canyon area. Plenty of Native American culture and frontiers history goes along with these beauties including some very interesting tales of lost treasures and lost lives of those who tried to find all that gold that many people believe still exists in the mountains. 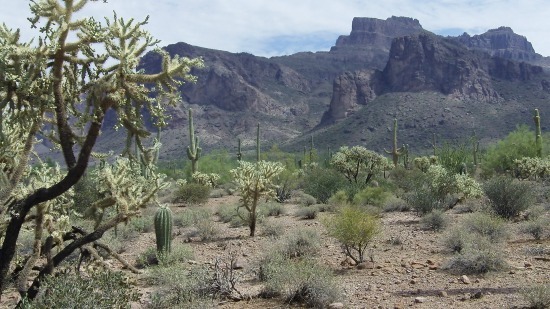 Nearby you will be amazed at the many recreational activities including the Lost Dutchman State Park where you can hike the mountain range in a fairly easy hike, meaning it is not too difficult if you do not have any physical challenges. Make sure to bring your camera for some breathtaking shots! If it’s lakes you appreciate, nearby is Canyon Lake just outside of the Apache Junction area where the Superstitions’ are found. Here you will find water activities such as boating, fishing and more. Also nearby is Roosevelt and Apache Lake which are just as beautiful. Here is a listing of our state lakes. If you are in search of Arizona family vacations that include something simple for the entire family, there are plenty of choices as well! There are many log cabins in the high country that offer great deals throughout the entire year and cater to families. As you can see, Arizona tourist attractions come in a wide variety of packages and activities that can be customized to anyone’s liking.